Amy Carroll serves as President and is a Principal of TradeMark Properties. With over 15 years of real estate experience, Ms. Carroll’s primary role is overseeing all operations for TradeMark Properties, along with leading the property management team. Her focus is to lead and collaborate across all service lines in order to ensure that all clients receive excellent service. With her background and experience with institutional and national clients, Amy’s knowledge and experience provides clients with accurate information about their property operations, accounting, reporting and exceptional customer service. Prior to becoming President, Amy led the property management team for TradeMark. 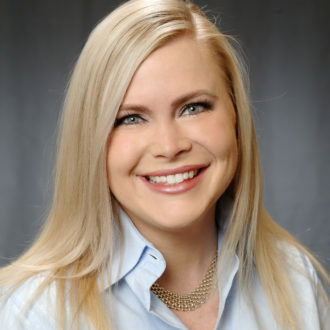 Before joining TradeMark, Amy worked for CBRE, Avison Young and Capital Associates, managing Class A office, retail, and flex properties throughout the Triangle area. Amy began her real estate career in multi-family and residential before transitioning to commercial, giving her a unique perspective and well-rounded approach to management.